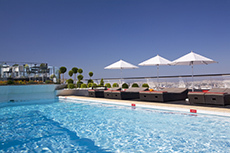 Member of Member of ACCOR Group, NOVOTEL ATHÈNES is ideally located in the heart of the city, just outside the traffic restricted area, close to National Archaeological Museum and few minutes walking distance from Metro and suburban railway station Larissis. Enjoy sleek comfort and spacious-ness in a stylish room designed to meet all your needs. The exclusive Live N Dream bedding concept means unparalleled comfort, and special touches make all the difference. Choose one of the 196 rooms and relax, get some work done and take full advantage of your stay. 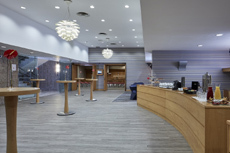 Extra values services: free Wi-Fi in all hotel areas, free coffee/tea facilities in room, laptop safe, free indoor parking. Also the hotel has 5 suites and 5 handicapped rooms. 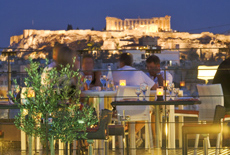 Restaurant NOVagora is open from 6:00am until midnight and offers a wide choice of meals. 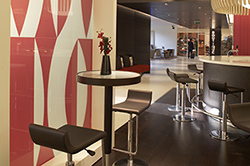 The comfortable Le Bar, provides an ideal place for small meetings or for relaxation with friends in a warm atmosphere. 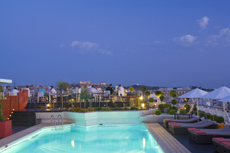 Restaurant Clair De Lune at the roof garden opens during summer season, offers premium drinks and the best view to Acropolis and Lycabettus Hill. Facilities also include: Outdoor swimming pool, free private indoor parking space, Virtual Concierge, play area for children, boutique, free Wi-Fi, internet corner, fitness center, relax room, garden, baby-sitting upon request. 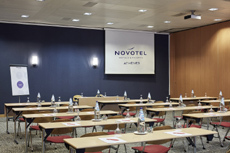 Novotel Athenes offers 8 meeting rooms, 4 of them with natural light. All meeting rooms have high ceiling and no view-obstructing columns. 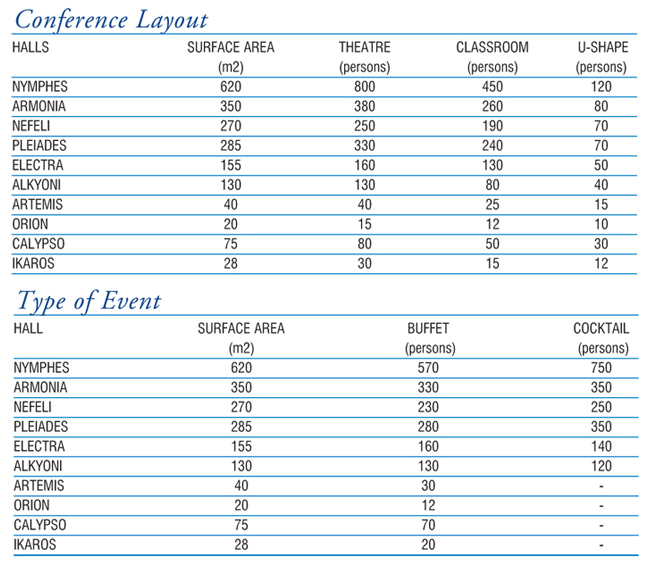 The capacity of the meeting rooms ranges from 2 to 800 persons. Among the equipment offered you will find: screens, high-tech audio, LCD projector, microphones (wire-less) and amplifiers, modem connection, TV, VHS, podium, DVD player, CD player, Laptop, Laser point. Special lighting, central air condition/ heating system, special set up requirements.